We will be holding our next Liberal Speaker Series in the riding of Markham-Stouffville on Saturday, March 1, 2014 from 12-2 pm. Please see details of the event below. 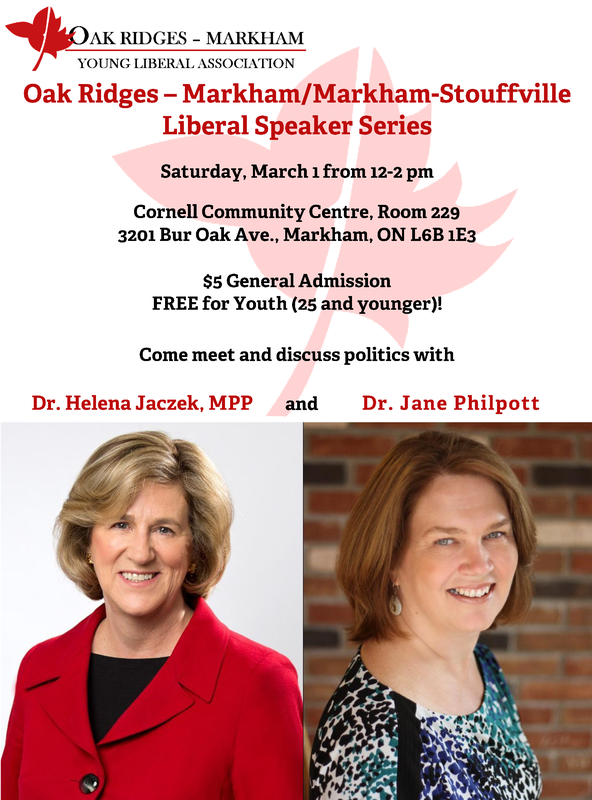 Tags: Candidate, Discussion, Jaczek, liberal, Markham-Stouffville, MPP, Nomination, Oak Ridges-Markham, Philpott, Policy, Speaker Series, Youth | Permalink. Because Oak Ridges – Markham is being split into multiple ridings federally, we would like to provide an opportunity for Liberals to meet and talk to some of the candidates. 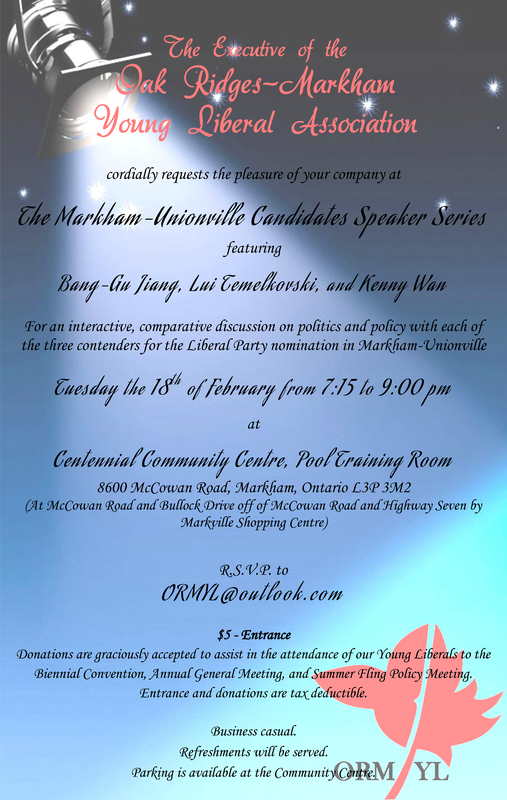 The Oak Ridges-Markham Young Liberal Association will be holding a Candidates Speaker Series Event in the riding of Markham-Unionville on Tuesday, February 18 at 7:15 pm at Centennial Community Centre featuring Bang-Gu Jiang, Lui Temelkovski, and Kenny Wan. Details are provided below. We hope to see you there! Tags: Candidate, Discussion, Jiang, liberal, Markham-Unionville, Nomination, Oak Ridges-Markham, Policy, Speaker Series, Temelkovski, Wan | Permalink.